She Supps Fat Burners is a fat burner for women. It’s been brought to market by She Supps and, by the company’s own admission, the key ingredient is caffeine. Many fat burning diet pills contain caffeine. It’s one of the most commonly used diet pill ingredients in the world, but the best diet pills only use it in small doses and combine it with other ingredients that can assist its fat burning effect. 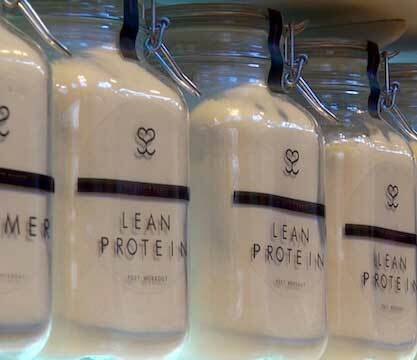 Quick comment: The female fat burner market appears to be dominated at the moment by Leanbean – a product that targets one of the main areas of weight loss which appears to have been overlooked by the competition. What Are the Ingredients in She Supps Fat Burners? The presence of green tea and guarana may be used as a selling point, but the list of ingredients provided on the same page does not show either ingredient. How Good is the Formulation? Caffeine is an excellent energy provider and scientific study proves it can accelerate the metabolism and encourage fat burning too. The amount provided is similar to what you’d be getting if you downed a couple of cups of coffee, but caffeine anhydrous is absorbed quite quickly, so the effects will kick in quicker than those provided by a cup of Joe. L-Taurine and Vitamin B6 are both ingredients that are used in the Red Bull energy drink. L-Taurine is an amino acid that provides stimulation. Vitamin B6 helps the body extract energy from food. L-Tyrosine is an amino acid that is used in smart drugs because it’s believed to boost cognitive function. The results of a study conducted in Amsterdam suggest supplementation with L-Tyrosine may be effective for reducing levels of stress and fatigue. Supplements that provide the amino acid L-Tryptophan can be useful for elevating serotonin levels and helping to provide a good night’s sleep. The ingredient can also relieve some of he symptoms of PMS. The final ingredient is Vitamin D3 and it’s the one that presents the most cause for concern. Vitamin D3 (cholecalciferol) helps the body absorb calcium, so it’s necessary for strong bones and teeth. Supplements that contain Vitamin D3 (or other forms of Vitamin D) are often used as a treatment for rickets, but the doses involved are never as high as the amount provided here. The Recommended Dietary Allowance (RDA) for the average adult is only 600 international units (IU) a day. The Fat Burners formulation contains 100,000 IU. It’s much too high and experts at the Mayo Clinic state even a dose that is half this amount is capable of causing toxicity. How is the Product Used – Two (1 capsule) doses are required per day. No specific times are mentioned, but the second dose should not be taken after 3pm and it is important that the two doses are separated by a period of four to six hours. Is There Any Customer Feedback on She Supps Fat Burners? At the time of this review, no customer feedback was available. Are Side Effects of She Supps Fat Burners Likely? She Supps Fat Burners contains a high dose of caffeine and several other stimulants, so side effects, such as jitters and nausea, cannot be ruled out and anyone who takes a pill too late in the day may have difficulty sleeping. Fat Burners also contains an overly high amount of Vitamin D3. This can cause a rare, but potentially dangerous, condition called Hypervitaminosis D.
Where is the Best Place to Buy Fat Burners? 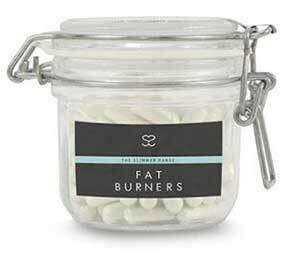 You can only buy Fat Burners from the She Supps website. The price can vary according to which option you choose. If you go for the 10-capsule starter pack you will only have to pay £2.99. If you go for the refillable glass jar (contains 120 capsules) it will cost you £21.99 and will be good for 60 days of use. The Fat Burners Refill Pack is slightly cheaper, with a price tag of £18.99. She Supps products are not guaranteed. Should I Be Considering Buying This Product? No. You’d be better off avoiding it. The amount of Vitamin D it contains is far too high and, even if it were not present, the fat burning ability of Fat Burners will not be as good as that provided by leading diet pill brands like PhenQ and Leanbean, both of which also offer appetite suppression and other key weight loss benefits. We recommend Leanbean – a fat burner created exclusively and specifically for women. Leanbean has an excellent ingredient profile that give multiple benefits and will not cause side effects.